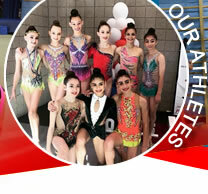 Rhythmic Academy's talented level 9 gymnast Ciel Arzandyan, Chiara Ruggieri, Kristina Palyan, Emilia Piskoulian, Abby Pogosian, Sophie Krupenina, Nicole Tchapova, Alphina Holovchenko, Erika Bilenka and Christina Min will be competing in the 2018 USA National Qualifiers at the Olympic Training Center in Lake Placid, NY. This will be the toughest test for our girls this season as they battle the best Rhythmic Gymnast in America to advance to the US Elite Nationals and a spot to become Level 10 Elite All-Americans. Only 22 Junior and 15 Senior spots available! Rhythmic Academy's talented level 5 and 6 gymnast Juliet Morales, Natalie De La Rosa and Jayla Franklin will be competing in the 2018 USA Open Nationals at the Olympic Training Center in Lake Placid, NY. This will be the toughest test for our young athletes this season as they battle the best level 5 and 6 Rhythmic Gymnast in America for the title of US National Grand Champion. 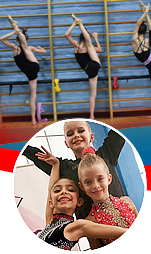 Get ready for THE BEST AND MOST COMPLETE RHYTHMIC GYMNASTICS SUMMER CAMP IN AMERICA! Rhythmic Intensive runs from June 11th to August 10 for 9 incredible week sessions. 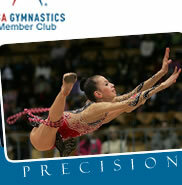 Train with World Class coaches and Olympians and be transformed into an Elite Level Gymnast. Attention Rhythmic Gymnasts, Coaches and Parents (Levels 6 to 10 only), Rhythmic Academy of Los Angeles will host a masterclass with World & European Champion Galina Beloglazova on Saturday June 16th 2018 from 12 PM to 5 PM. Considered one of the most decorated and highly skilled Rhythmic Gymnast in the sports history. She will be teaching advance apparatus handling and mastery skills. Class structure will include 1 1/2 hours of group warm-up, followed by stretching, balances, jumps and turns development exercises. The last 2 hours will concentrate on equipment mastery and risks, and learning amazing new tricks. Only $125 per person will include a FREE Rhythmic Gymnastics Training T-shirt and personalized signed poster. Gymnast will also have the opportunity to take photos with Galina at the completion of camp session. Attention Rhythmic Gymnasts, Coaches and Parents (Levels 6 to 10 only), Rhythmic Academy of Los Angeles will host a masterclass with 3-time World Championships all-around bronze medalist & two-time Olympian in London & Rio Melitina Staniouta. 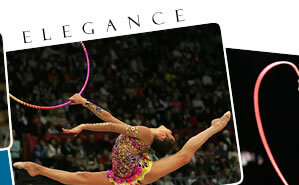 Considered one of the most decorated and highly skilled Rhythmic Gymnast in the sports history. She will be teaching advance apparatus handling and mastery skills on Sunday July 1st 2018 from 12 PM to 5 PM. Only $125 per person will include a FREE Rhythmic Gymnastics Training T-shirt and personalized signed poster. Gymnast will also have the opportunity to take photos with Staniouta at the completion of camp session. Attention Rhythmic Gymnasts, Coaches and Parents (Levels 6 to 10 only), Rhythmic Academy of Los Angeles will host a master class with two-time Olympian and 2013 World Championship Clubs Bronze Medalist Alina Maksymenko on Sunday July 15th from 12 PM to 5 PM. 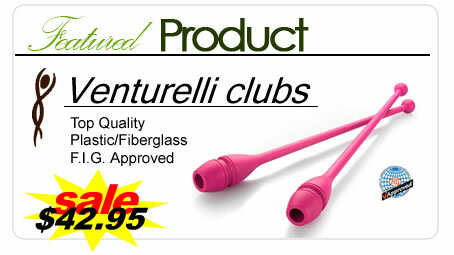 Only $125 per person will include a FREE Rhythmic Gymnastics Training T-shirt and personalized signed poster. Gymnast will also have the opportunity to take photos with Alina at the completion of camp session. Attention Rhythmic Gymnasts, Coaches and Parents (Levels 6 to 10 only), Rhythmic Academy of Los Angeles will host a masterclass with two time Olympian and World Champion Natalia Godunko on Saturday July 28 from 12 PM to 4 PM. Considered one of the best and most technically skilled Rhythmic Gymnast that has ever competed in Rhythmic Gymnastics. She will be teaching advance apparatus handling and mastery skills. Class structure will include 60 minutes of dancing, 60 minutes of exercises with tennis ball (Natalia has developed an incredible teaching system utilizing tennis ball to help build hand and eye coordination and timing), 60 minutes work with two subjects and the last hour to work with in pairs. All gymnast will be required to bring 2 tennis balls to the class. Only $125 per person will include a FREE Rhythmic Gymnastics Training T-shirt and personalized signed poster. Gymnast will also have the opportunity to take photos with Natalia at the completion of camp session.